Capable of processing more than 1.4 million orders per second, Binance is the largest crypto exchange by trade volume and one of the fastest in the world, as well as one of the major platforms where Bitcoin price action happens. Through Simplex, users on Binance can now use Visa and MasterCard to buy BTC, ETH, and LTC cryptocurrencies. Users can then trade between more than 150 different tokens and coins on Binance.com. “Easy and fast credit card payments, for mainstream users, is a key factor in wider adoption of crypto in general. We’re thrilled to partner up with Binance and together enable a much better, fast and easy experience,” said Nimrod Lehavi, Co-Founder and CEO of Simplex. In the past four months, Binance has launched two fiat-to-crypto exchanges, with Binance.je supporting the trading of Euros and British Pounds with crypto, and Binance Uganda supporting Ugandan Shillings. With the new Simplex partnership, Binance is further expanding to global markets. “The crypto industry is still in its early stages and most of the world’s money is still in fiat. Building fiat gateways is what we need now to grow the ecosystem, increase adoption and introduce crypto to more users,” said CZ. Binance is a blockchain ecosystem comprised of Binance Exchange, Labs, Launchpad, Info, Academy, Research, Trust Wallet and Charity. 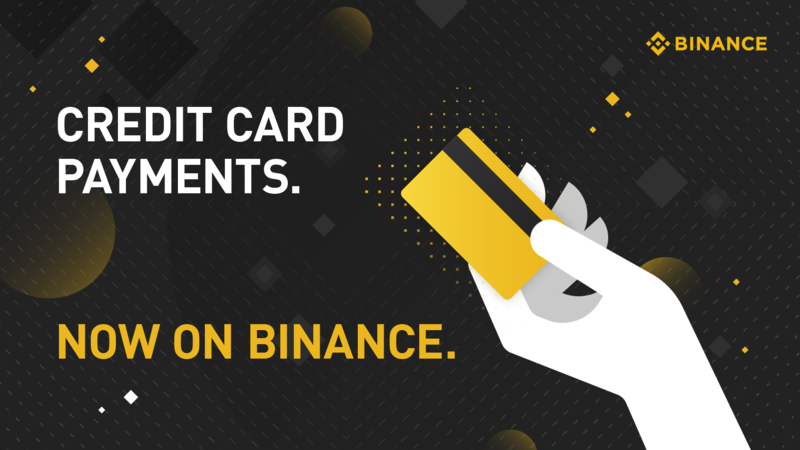 Binance, now supporting credit card payments! Buy Bitcoin with credit card via Simplex. And don’t miss out on the latest Bitcoin price. Download the Binance crypto trading app now.